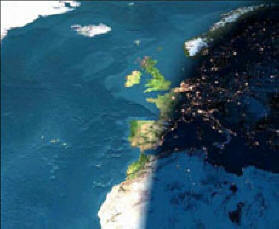 .... the evolution of the Atlantic Ocean We live on a dynamic planet. Continents and oceans have come and gone throughout Earth's history. Early ideas on "Continental drift" formulated from the southern hemisphere, were met with great scepticism. However, evidence from the Gondwanan land masses of Africa, South America and Australia (and Atlantic Ocean) ultimately provided a compelling argument for what would become the unifying concept for planet Earth - Plate Techtonics. As we know, the growth of the Internet was only made possible by advancements in the Silicon Chip. Jeff's presentation explained how a fundamental change in communication technology fuelled the silicon chip development and in turn the growth of global communications. Plessey as one of Britains early semi-conductor manufactures was at the forefront of design in communications. Jeff explained how wafer design developed microprossesors in this technology and explored how small can a future Transistor get? "Electric cars"? The juggernaut effect of electric vehicle popularity started by high tech companies and now joined by traditional car manufactures sets the platform for this talk. Prof Averil Macdonald OBE and Prof Alun Vaughan in a joint brisk and enlightening performance torpedoed many governments belief that EV's are the future. Everyone seems to think that electric cars are an excellent way to reduce pollution and our reliance on fossil fuels. But it's not that simple. Averil explained the serious difficulties and threats that electric cars could bring, and consided the choices and life style changes that we will all have to adopt to move to a totally green electric world while Alun described the huge technological challenges in generating and transmitting the electricity we will demand and the current research being undertaken to achieve this. Chief Executive Officer of the Institute of Physics. Dr Morgan introduced the Drake Equation that in the 1960's was used to estimate the number of communicating civilizations in the cosmos, or more simply put, the odds of finding intelligent life in the universe. Now 60 years later and with all the knowledged gained from our own intelligence regarding space flight, cosmic distances in light years and of course the massive advances in telecommunications, David looked realistically at the prospects that extra terrestrial intelligences may or may not exist and the odds that we are able to be discover intelligence in the Galaxy. He analysed the problems of communication and explored the idea that technological civilizations capable of communication may not not exist for long enough to be discovered. Understanding of the possible technological "Choke Point" that dooms civilizations to a short life span was investigated with reference to our development on Earth and made for a spirited question and answer debate to round off the talk. A Structual Alternative to Timber and Steel. England's housing needs warrants a new Milton Keynes, building constuction and materials need new thinking, is Mark Singleton's invention an answer? Mark has been involved in the development of a new structural building material, using fibreglass made by the pultrusion process. It's strength is in a unique internal fibreglass screw system. It has surprising properties. In 2012, it was used to build a three-storey house without steel or concrete, that is energy-efficient to Passivhaus standards. His latest invention is a lightweight fibreglass truss, joined without metal or adhesive. At 40% of the weight of steel that will support the same load, it reduces CO2 emissions by 80%. As a winner of the Travis Perkins Innovation Award 2016, its likely impact on construction led to an energetic Q's & A's discussion. Group Visit From 10.00, guests assembled in the original older building for the initial introduction and the company's renowned history, before splitting into groups to be shown around the famous sound and recording studios. Knowledge has increased massively since then and in recent times Earth orbit satellites have increased our understanding of terrestrial geology and now, fly past space probes, orbiting telescopes and landers are enriching our understanding of our planets and moons in the solar system. Peter's career led on to his interest in geology and a down to earth talk centered around local geological features, mainly Worcestershire, and was illustrated with pictures of local use of building stone, engineering works and landslip repairs, which provide some of the few opportunities to see what really lies beneath our feet! David in a break from his usual science based lectures presented an illustrated talk about the "backstage" element of Antarctic exploration. From traditional dog teams in the 1970's, now replaced with Skidoo's and Quadbikes or Hagglund ATV's (all terrain vehicles) The Antarctic has 18 gravel or unpaved runways, some in winter are simply solid sea or ice runways refered to as blue runways. Each and every element of modern transport in the field is important to sustaining and furthering Antarctic exploratory science. 01/03/2017 Pink Sea Fans (Eunicella verrucosa) as Indicators of the Spatial Efficacy of Marine Protected Areas in Southwest UK Coastal Waters Recent studies have demonstrated the utility of integrating ‘citizen science’ data into mainstream scientific analysis, particularly where broad-scale spatial patterns of distribution are required. The pink seafan coral Eunicella verrucosa grows attached to ‘hard’ substrate, and therefore acts as a surrogate for the distribution of rocky reef, or reef-associated biotopes. 07/12/2016 Measuring the Universe. From Greek-Roman times to Present Aristarchus of Samos (c.310 –c.230 bc) measured the distance of the Sun and Moon to the Earth nearly two millennia before Copernicus, since then there have been other opinions and cultural beliefs that have shaped the then current view of our Universe. 02/11/2016 Why are things as they are and not otherwise Mark linked his excellant Tycho Brahe talk in 2015 with today's understanding of Johannes Kepler. 05/10/2016 Shipbuilding on the River Wye Continuing the long tradition of shipbuilding on the Wye that culminated with the Government taking over an existing shipyard in Chepstow during 1917, Dr Firth explained the creation of National Shipyard No 1. This yard built 20 ships with displacements up to 6,500 tons, the last constructed in 1923. 07/09/2016 Thorium Uranium debate for Nuclear Power generation Anthony, during his time as Bishop of Hereford, also represented the church in the Lords. This also, as a bishop with a scientific background, led to a White Paper landing on his desk. There is always a small satisfaction when one of our own Science Society members presents a talk. Nick's interest in early computers stems from his career in process control computing which continued to include some very early systems up to his retirement in 2011. At the end of his career his work still included a Ferranti Argus 500 system, designed in the early 1960s and, by 2011, probably the oldest operational computer in the world. 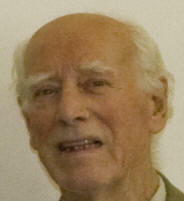 His talk described the development of computing in the late 1940s through to the early 1960s, with particular emphasis on Britain’s world leading role in those early days. The talk included descriptions of the contributions that Alan Turing, Manchester University and Lyons Tea Shops made to computing. Final proof of Einstein's greatest theory made a great talk Space is wobbly. In 1915, Albert Einstein unveiled his new theory of gravity -- general relativity. It tells us that when black holes collide and stars explode they send ripples out through the fabric of space and time. Ross Science Society has enjoyed a coup as after a major scientific announcement in early February 2016, Andrew Williamson by sheer coincidence joined us to prove Einstein's Theory of Gravitational Waves. 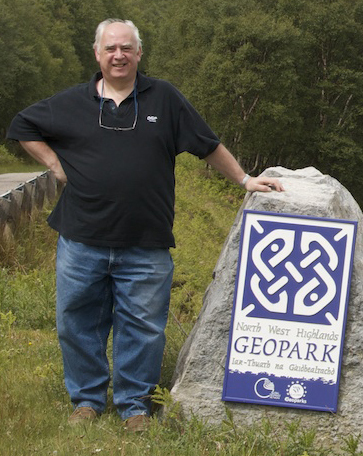 Keith's talk started with a volcano in Arran then continued to show Scotland has had a highly eventful geological history and boasts one of the greatest varieties of geology within a limited area anywhere in the world. It also has some of the oldest rocks in the world. 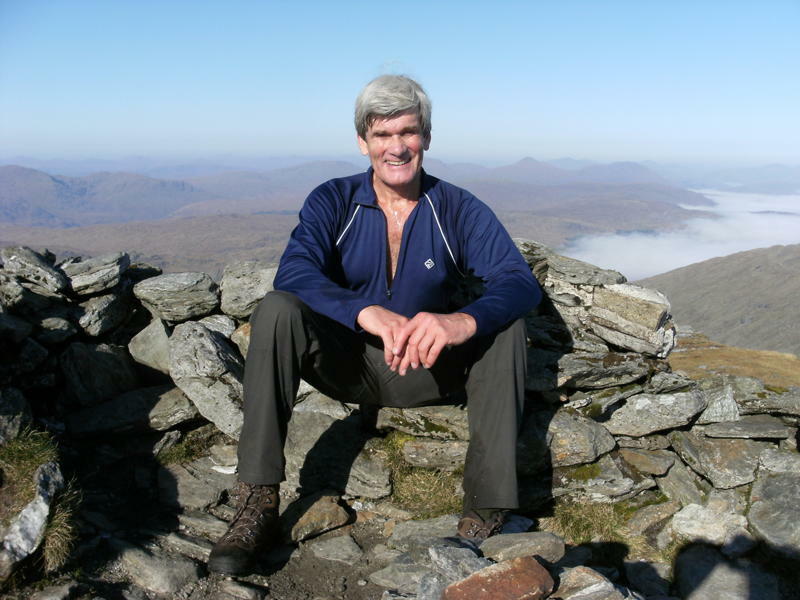 This illustrated talk focused mainly on the geology and resulting scenery of a number of well known locations in the western Highlands and Islands. David's illustrated talk decribed the geology and history of the Ross Sea, found 3500 km south of New Zealand, it is the most pristine marine ecosystem on earth. One of the most accessible Antarctic ocean areas, and unlike most of the world's oceans it has remained free from widespread pollution, invasive species, mining and overfishing. The Ross Sea is the most productive stretch of water in the Southern Ocean and home to high concentrations of wildlife and an incredible array of animals, many found nowhere else on the planet. Teeming with large predatory fish, whales, seals, penguins and other animals that collectively comprise the last intact marine ecosystem on Earth. As such, the Ross Sea is a living laboratory providing scientists with the last chance to understand how a healthy marine ecosystem functions. Mark gave a detailed life history of Tycho Brahe, born into a Danish aristocratic family in 1546, his bizarre upbringing and lifestyle including changing his Christian name. Studying law at university, he became obsessed with planetary movements and secretly switched his studies. In time, his primary contributions to astrophysics led to the design and development of observing instruments and the precise data he recorded on the motions of the celestial bodies. Throughout geological time, natural forces from within our planet have sought to add features to its surface whilst forces within our atmosphere have sought to modify and erode them. The balance between these two has resulted in the incredibly varied landscapes which we see wherever we travel. Naylor, with his dry humour and his fully illustrated talk toured the globe with examples of the construction and demolition scenery available for us to see on Planet Earth. Examples of work carried out worldwide including landmark structures such as Windsor Castle following the infamous fire, details of work on masonry arch bridges and strengthening of modern structures. Work in Cairo after the 1992 earthquake and the repair of historic monuments such as the Step Pyramid. Also, explanation of their Waterwall products used by the security services to mitigate improvise explosive devices. Our tour of the adjacent BT Satellite Station arranged for the afternoon was rewarded with visiting one of the original 66' Satellite Dishes and its control room. The complex hummed with power as 65 plus dishes pointing across the Indian subcontinent to the East and the Americas to the West, every size of dish imaginable, each controlled automatically, targeting and tracking its own satellite in space. Alan, our retired BT expert and guide, was informative and answered each and every question with an undeniable pride . As the grounds are so extensive, BT granted MESC part use of site including the water reservoirs (fire safety) that have now become important to MESC's operation. Following refreshments, Louise guided us through its many activities whilst discussing their future plans. The presentation explained the number of archaeological scientific techniques, their applications and limitations. The differences between archaeological science and archaeological theory was described. A small number of recently investigated sites was used as examples of how these approaches can be used to complement one another. 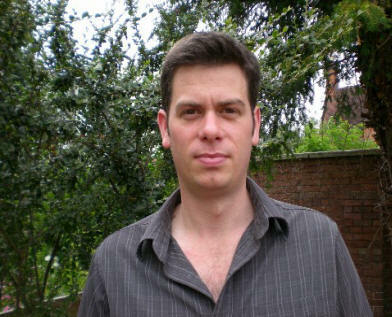 Tim Hoverd is currently the Archaeological Projects Manager for Herefordshire Archaeology, (Herefordshire Councils Archaeology Service). As such he manages and undertakes a variety of non development led projects including: Community Projects, Partnership Working with bodies such as English Heritage, The National Trust, The Woodland Trust, The Forestry Commission and Natural England. He undertakes Conservation Management Plans for archaeological sites within Herefordshire and leads a free monthly Historic Landscape Walk. 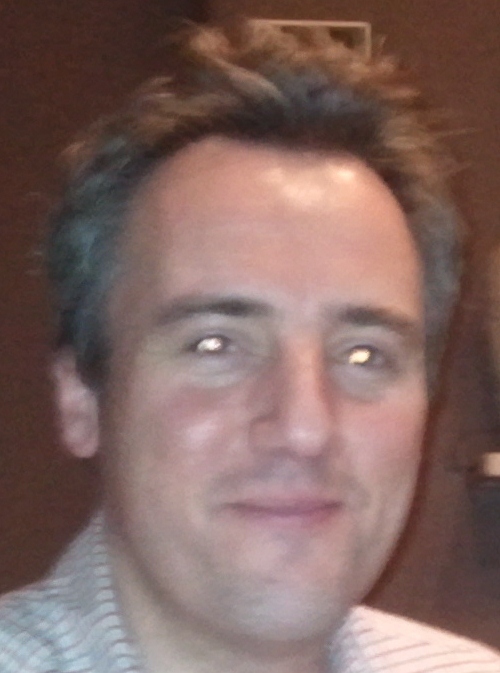 He is the Assistant Director of the Dorstone Hill Project, working in partnership with The University of Manchester. Sir Joseph Banks (1743-1820) was a British explorer, naturalist and patron of science. During his twenties he embarked on three ‘voyages of discovery’ – to the coasts of Labrador and Newfoundland, to the South Pacific (HM Bark Endeavour) and finally a northern voyage to the Hebrides, Iceland and Orkneys in 1772. Todays talk examined Banks’ third and final voyage which included an early ascent of Mount Hekla, one of Iceland’s most active volcanoes. Combining film clips of Iceland’s volcanic landscape today with animation of heritage images. Todays presentation aimed to recreate the pioneering approach of a leading 18th Century scientist. Paul spent twenty years teaching in secondary education and advisory work before running two family heritage businesses in Herefordshire. He is now an independent researcher interested in promoting the history of early scientific expeditions. 04/02/2015 A different perspective on Geology Frazer, made use of sample "Moon" rocks on loan to his A level course students at John Kyrle High School. Following a short slide-show illustrating his numerous rock samples, he explained how each was identified to an out of space source with rocks from the Moon, Mars and Virgo meteorite as well as Moon dust. From its source to reaching the Severn Estuary, David stripped off the forests and soil back to the rock formations beneath, laying bare the course of the River Wye. 70M years ago, the area in which today's course of the Wye formed was a vast chalky sea swamp roughly where Buenos Aires is today. This area is made up of a five mile thick series of beds (rock strata) with geological surveys showing the Wye crossing many types of rock, in hardness, in age and crossing faults. From very hard in the north west to younger/softer rock as we enter Herefordshire, the Wye ignors geology as it meanders not following the line of least resistance. Ross Science Society became the first to hear David's story of his adventure on the Hanseatic, the first NON-ICEBREAKER ship to transit the North East Passage. Sailing east from Alaska and the Pacific Ocean, a short crossing to Russia was the start of a 6500 mile journey tracking along the north Russian coast and its islands towards Norway and into the Atlantic Ocean. Pack ice forced many diversions, one leading to within a few hundred miles of the North Pole, David as expedition leader illustrated his talk with stunning photographs of landscapes, wildlife and remote historicic sites. Dr Firth gave a splendid and enlightening talk on the importance of the River Wye and surounding areas in it's part in the industrial revolution. Rivers in the UK were Nature's motorways and provided transport routes before attention was paid to roads through the introduction of the 'Toll Road' concept. The Wye provided an ideal conduit to bring goods in and out and it had a number of steep tributary valleys where water power could be harnessed. It also had a number of geological resources useful for the expanding industrial revolution. Industry flourished for several centuries and the talk will review it's rise and demise. He closed his talk with mental images of the Wye becoming a Rhine type Gorge should the Bristol Estuary Barrage ever be built. Marina's, new industry, riverside towns coming back to life leading to one of the best tourist destinations in the UK. As it has been nearly 45 years since Neil Armstrong set foot upon the Moon, Dr Cook based his talk on recent lunar findings following on from the Apollo era concerning the evolution of the Moon, the dating of the lunar surface, current lunar geological and	exospheric processes, current and future space mission activities. Early Days Martin, now a local resident, spent many years at the centre of the Scottish oil industry with BP and Shell. Martin's illustrated talk explained the adventure, fear and technical difficulties early pioneers faced in the North Sea oil industry. Nick gave a brief history of the development of nuclear power, describing the main types of reactor and their similarities and differences. He concentrated on thermal reactors, which make up the vast majority of civil power plants, and explained the vital role of the moderator in facilitating fission in a thermal reactor. Nick explained how nuclear reactors are controlled and the importance of delayed neutrons, without which controlled nuclear fission would be impossible, and will highlight the difference between delayed and prompt criticality. Building on an understanding of thermal reactor physics, the design features of the RBMK was highlighted, identifying why they would preclude the design the licensed in the west and how those features contributed to the destruction of Chernobyl Reactor 4. The impact of Russian culture on the plant managers’ and operators’ behaviour was considered, identifying how that behaviour lead, in early hours of 26 April 1986, to a doomed experiment which took the reactor into an intrinsically unsafe state, resulting in the worst nuclear accident in history. 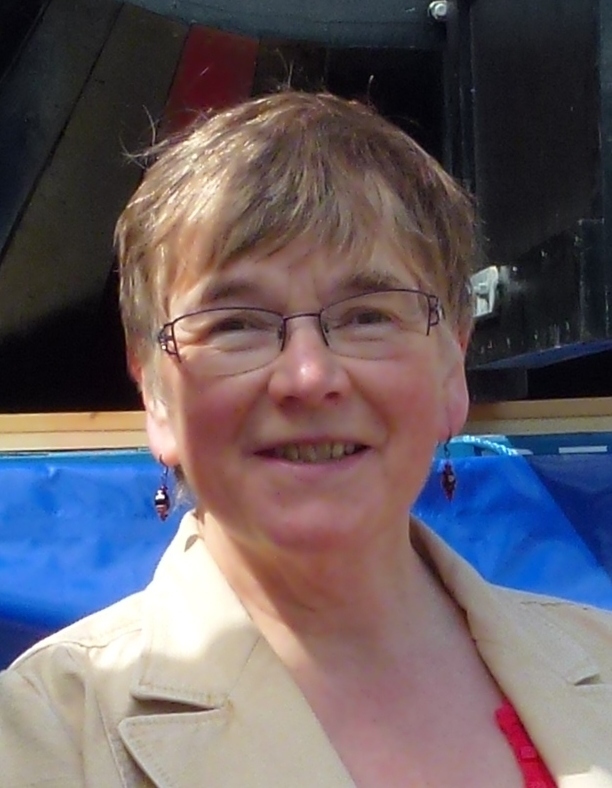 This talk on the South Wales coal fields and their mineral content explained the impact scientifically and medically on the region and nationally. Dr Firth highlighted the social, political and medical impact of the minerals found there, not just coal. In almost all walks of life people make measurements from baking a cake, brewing wine to the grinding of a crankshaft. The accuracy required in these measurements will be very different given the set of circumstances prevailing. When making concrete by hand we use a shovel and say one shovel of cement, two shovels of aggregate and four shovels of sand. Now the amount on a shovel will vary markedly and thus the precise composition of the mix will vary markedly. Now if one is laying a garden path then the properties of the concrete will not be critical. However if we are constructing a motorway flyover subject to varying forces then we may think it is necessary to understand the properties of the concrete going into the flyover somewhat more than we do for the concrete forming the garden path. This leads us to a very different scientific approach when considering the criticality of the objects we are making. Forty years ago I was a technician in a test house conducting tensile tests on metallic materials and having measured the original diameter of the test piece and recorded the breaking force I could calculate the Ultimate Tensile Stress (UTS) of the material and that is the value we reported, e.g., 500 N/mm2 (that would have been tons per sq inch). Today this approach is not acceptable and the uncertainty associated with that measurement must be published with the result. This lecture will explain the mathematical uncertainties of our measurements and how we quantify such uncertainties. 04/09/2013 Lives of Insects Denise opened the new season to a larger than average audience with the second of her fascinating illustrated talks on insects. Free nanoseconds were distributed after the talk! Yes “Time” does play a vital part in our World today. We never have enough of it and yet, without it, nothing would get done. 09/01/2013 Statistics in Biomedical and Health Research A quote by the Duke of Wellington and made famous by Winston Churchill "lies, damn lies and statistics" Today, John expanded the meaning of this quote with a light-hearted and humorous talk. Following a quick background on his past achievements including statistical modelling in the nuclear industry. He expanded and clarified the term "statistics" (as used both in the scientific community and in popular culture) from a notable milestones in the development of the subject with Florence Nightingale who as a statistician as well as a nurse produced a paper including a recognisable pie-chart through to present day work and what a medical statistician working in the academic sector actually does, addressing a few misconceptions with a couple of case studies based on his own work. From acclimation to albedo Ice algae are known to inhabit some of the harshest environments on the planet, yet still may be highly productive and have major ecosystem functions. Following recent research on Greenland's ice shelf by Cardiff University, this talk covered the types of algae and how they are adapted to their stressful environment. The importance of these key organisms in a low biodiversity habitat was discussed and that led to an explanation of how ice algae can modify the ice sheet albedo with associated impacts on our understanding of climate change modelling. Life has been around for most of the existence of planet Earths 4.6G Years. Nothing and nobody lives forever; extinction is a way of life for all species. However, every so often the background rate of extinction is swamped by a sudden dramatic spike, called an extinction event. In the worst case so far, 96% of species became extinct in one such event. Research indicated Homo sapiens were reduced to circa 1000 families after a catastrophic volcanic eruption 50K years ago. Mark explored the many potential mechanisms that could have caused these spikes, some earth-related and some astronomical. Origins of the varied and beautiful landscape around Ross – Garway, Orcop, Aconbury, the Linton Ridge, the Woolhope Dome, Aston Ingham and May Hill, Llangrove and the Garron Valley, the Wye Valley, its meanders and strange course. Also The Chase, Penyard Park, Coughton Valley, Goodrich and Howle Hill. The work of four European scientific pioneers - Copernicus, Faucault, Konkoly and Lockyer - who all used the technology of their times to advance our understanding of the Universe will be reviewed including their links to Herefordshire. Using new science heritage research by Space Today UK we will explore how the investigation of light, gravity and chemistry led to the formation of the Solar Physics Observatory in Kensington. Project UTU links France, Poland, Slovakia and the UK together. Before we take an in depth look at the Solar System through the eyes of a volcanologist, we start with our own planet EARTH. You will explore plate tectonics and mantle plumes which have produced over 450 active volcanoes, we will then travel to the Moon, Mercury, Venus and Mars to find out why their volcanoes are so different before moving out to the moons of the gas giants to experience 'exotic' forms of volcanism completely unlike anything on our own planet. How animals Communicate with Chemicals The talk started with each member of the audience being given a bag of 'smells'. Dr Adam Hart proceeded to illustrate the fascinating world of insect life and their use of pheromones to attract, repel (defend) signpost or in the case of honey bees, form a 'flight-path' at the hive to guide the pollen laden bees home. Each stage of the talk required a 'sniff test' to determine the molecular smell generated by individual insects. Even more fascinating was the realisation that many of these smells are used to increase the appeal in home products and food. Should an ice cream flavour really have molecular links to an ant's bum? It's effect in the Antarctic. David Fletcher has spent 40 years exploring the Antarctic as a marine biologist and more recently as a scientific tour guide. During his many expeditions as a specialist in arctic flora and fauna, he has amassed 000's of slides illustrating the changes global warming has made on the landscape and animal behaviour. His talk on the impact each 1 degree of temperature increase had on the food chain and in consequence, future evolution of the area led to a lively debate. Global consequences of Nano-scale phenomena. Dr Chris Forman presented in an enthusiastic and mind bending presentation. Is there an equivalent common vision for sustainability in which a standard set of materials allows diverse industries to trade waste without pollution, while still allowing them to satisfy complex niche demands? The realisation of such a biologically inspired vision would rely on the application of advanced physics and chemistry in ultra-composite multi-functional materials and should this approach gain support, can we implement this vision without destabilising what we already have? Although already established in the 1990s the ID lobby did not really make headline news until the recent decade with three significant events. The first was reported in Time magazine. The editor of a technical journal (Proceedings of the Biological Society of Washington based at the Smithsonian Institute in Washington), published a peer reviewed article which openly and explicitly advanced ID. The editor was dismissed from office. In December of the same year the American Civil Liberties Union (ACLU) announced a lawsuit against a school board in Dover, Pennsylvania. The school science department had recommended to its students a book in the school library covering the ID topic. Closer to home, Professor Anthony Flew of Oxford University, after a BBC interview, published his thoughts in his book of 2005 “There is a God”. Until then Flew had been the Arch Atheist but was now convinced that the emerging science had begun to fall in favour of intentional design. Is ID creationism repackaged (crypto-creationism)? ID seeks to describe the elegance of the universe in terms more than cause and effect, asking questions about design but not about the Designer. ID thinking is represented by a group of intellectuals troubled by the monopoly that naturalistic theories maintain over the question of our origins and existence. ID specifically claims not to be conventional Creationism repackaged. The talk will look at questions which the ID lobby has highlighted in Cosmology and in Biogenesis. Their views on Evolution will not be addressed here. Current advances in CT - 320 slice imaging CT scanning is continuously evolving. In 2000 we had 4 slice scanners which have, in a decade, advanced to 320 slices. This advance has opened many doors for diagnostic imaging allowing whole body organs to be scanned in as short a time as 0.35s. This presentation will give an explanation of the technology and how it can be used to advance body imaging (including cardiac and brain imaging) along with other areas of novel use. Collider at CERN A group of Monmouth Asronomical Research Society (MARS) members recently visited CERN in Geneva, Switzerland, the home of the Large Hadron Collider. MARS members Colin Biddle and Norman Pomfret will co-present their experiance of this visit with a photographic tour and an insight into the background science, of the largest machine in the World. Earthworms - the superpower in the soil In this presentation David will explained why earthworms are the most important animals in temperate soils, and why they are called "ecosystem engineers". Earthworms perform many vital roles, they help to deliver a range of ecosystem services, and they are loved by farmers and gardeners. The Sory of Astronomy and Technology focussing on Radio Astronomy In this talk we heard about the kind of technology available to Astronomers through the ages and explore what this enabled them to achieve. The time span starts with Mesopotamian and Assyrian Astronomers and goes right up to new astronomical instruments planned for 2020. The technology includes that required for optical and Radio Astronomy - particularly Radio Astronomy - and includes the development of space based astronomy across the whole electromagnetic spectrum. The talk illustrates how science and technology are crucially linked and discusses what we might expect to see in the next 5 - 10 years. 02/09/2010 Signatures of Catastrophe What happens when you really do 'catch a falling star'? Collisions of extraterrestrial objects with the Earth were not considered significant until a very short while ago. Geologists did agree that small pieces of iron and rock occasionally struck Earth, but the only visible remains were small meteorites to collect and display in museums. In the last few decades we have come to realise that past impacts are more abundant, larger, more geologically complex, more economically important, and more biologically significant than anyone ever imagined. Some of these impacts were huge, some of them were recent. This talk examines the breakthroughs in understanding that have allowed us to determine conclusive evidence of impact events on Earth, and to search for more. The main theme was our species'; place in nature, because it is concentrations of susceptible populations - birds and humans - and their migrations that allow epidemics to become devastating pandemics. An interstingly presented and properly science based talk concluded with disease control: When is the next human pandemic? In his lecture David set out the policy factors that led the Government to decide that nuclear generation should continue to be part of the electricity mix into the future, the actions it is taking to facilitate this, and EDF Energy’s work to achieve its intent that its first new nuclear station will be operational by the end of 2017. A beginners guide to what atoms are made of, how we found out and what we are trying to discover next. The talk includes some simple physics, both theoretical and practical, to supplement the journey through particle and quantum physics in the 20th century. 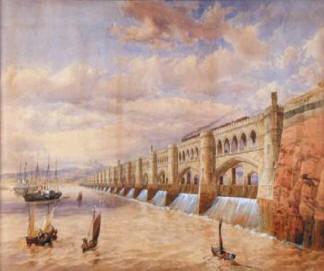 A Severn Barrage in some form or other has been the subject of debate for over 150 years. The shortage of fossil fuels, their contribution to climate change when used as a power source, concerns about safety of nuclear waste disposal and the proliferation of wind turbines on land and around the coast, have regenerated interest in tidal height and current methods of generating electricity. The government is currently carrying out a consultation exercise (completes April 23) with regard to a shortlist of five proposals. Haydn Cullen-Jones, at the end of a thirty five Royal Naval career during which he specialised in Under Water Warfare, studied for a physics degree in order to become a secondary school science teacher. 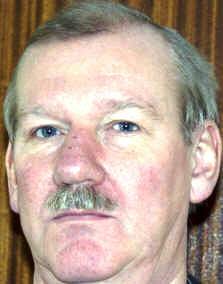 He left teaching as the recently heavily criticised science syllabi were introduced (Sep 2006) but continued his academic studies to complete his MSc in Dec 2008. Over the last 100 years earthquakes are estimated to have killed more than a million people throughout the world and to have caused billions of pounds of damage. However, there are a significant number of engineers and researchers working to protect existing structures from the effects of earthquakes and working to develop new ways to improve the performance	of structures. Using demonstrations, computer simulations, and pictures of actual earthquake damage, “Building for Earthquakes” explored the basic principles that Earthquake Engineers use to protect structures during earthquakes. The talk covered the causes and nature of earthquakes, how buildings fail, various strengthening techniques and looked at the possibility of designing earthquake proof buildings in the future. The talk started with explanations of the causes and nature of earthquakes and the Richter scale was explained. From an engineer’s viewpoint, it considered where most earthquakes occur, how big they might be, how often we can expect them, and how the resulting ground motion affects the performance of structures. The talk then explored some of the fundamentals of structural dynamics trying to decide what types of buildings might be safer in an earthquake zone. How can we assess acceptable risk and what philosophies might we use in practice to design buildings. Looking at pictures of earthquake damage we considered how an understanding of basic dynamics can help us to design safer structures. Finally the talk looked at the future of earthquake engineering and considered whether it will ever be able to make buildings earthquake proof. This was a big slide show where we saw perspective views of the solar system, the stars, the Milky Way, and far galaxies. The talk was illustrated with many computer generated simulations, shown as sequences of slides. Constellations were time shifted and also viewed from different remote locations. Some of these were down to magnitude 9 in true colour, and some were in stereo, seen with red-green glasses provided. Our super cluster of galaxies was displayed similarly in a galaxy trek. Galaxies were also crashed together in simulation. Gravitational lensing and space-time distortions were shown. The show ended with a truly relativistic journey to the star eta Cannis Major, showing dramatic geometrical aberrations and colour shifts, with rapid forward time travel. Another entertaining and informative talk from our ever-popular "hands on" scientist. About 300 planets are known to exist beyond the Solar System. These are called exoplanets. They are distributed in about 260 exoplanetary systems, nearly 30 of which are known to have more than one planet. Because they are easier to detect, nearly all of the exoplanets are giants, with masses over 50 times the mass of the Earth – more like Jupiter and Saturn than our planet. Giants are likely to have deep, hot atmospheres consisting largely of hydrogen and helium, and accounting for a substantial fraction of the planet's mass. Giants would not be habitable by life as we know it – life based on complex carbon compounds and liquid water – indeed probably not by any sort of life at all. But a few less massive planets have been discovered – at present the least massive known exoplanets are just a few times the mass of the Earth. Such planets, like the Earth, are likely to be rocky-iron in composition with a veneer, perhaps a substantial layer, of water, topped with a relatively thin atmosphere. These difficult-to-detect low mass planets will continue to be discovered, down to Earth mass and below, as better instruments become available and as observations are made for longer times. But at present we can only detect exoplanets by the effect they have on the motion of the star they orbit, or on their effect they have on the light from their star (or a background star). We can thus get the mass of an exoplanet, its orbit, and in some cases its radius. In order to determine whether it is inhabited we need to detect the light we receive from the exoplanet. This is hardly possible at present, due to the far greater, smeared out brightness of an exoplanet's star – like a glow-worm near a searchlight on a misty night. 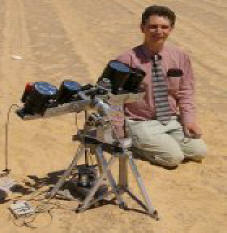 I will explain this difficulty, and how more powerful telescopes will enable us to overcome it. For low mass exoplanets we look to ESA's Darwin space telescope and NASA's TPF space telescope, which might be in orbit in about a decade. I will then explain how, once we can detect the light from an exoplanet, we can analyse it to see whether the exoplanet is habitable, or indeed inhabited. Of particular importance is an exoplanet's emission spectrum at infrared wavelengths. This is formed by infrared radiation emitted from the surface, passing through the exoplanet's atmosphere, where the atmospheric constituents absorb certain wavelengths. Atmospheric composition and surface properties can thus be obtained. How this leads to establishing habitability/inhabitation will be revealed. Dr Adam Hart grew up in South Devon and studied Zoology at Cambridge before moving to Sheffield to study ants, wasps and bees for his PhD. 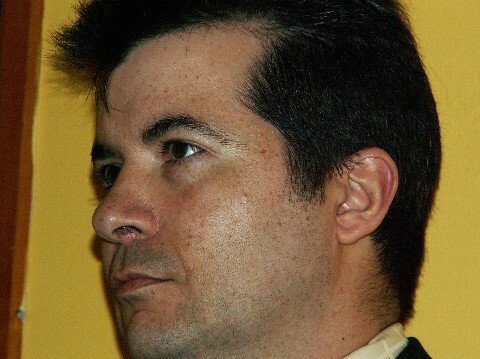 He spent 7 years there, moving on to post-doctoral research before becoming a lecturer. 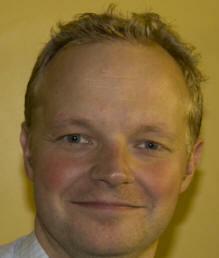 He moved to a permanent position in the University of Gloucestershire, where is now course leader in Biosciences. He has researched conflict and cooperation in many different species of social insect with his current research focussing on leaf cutting ants. However, he has started to branch out into many different areas of biology and is involved in research on bird nesting, migration, bacterial degradation of rubber and the management of waste in nests. This is the story of the survival and deciphering of a very complex high precision mechanism made in the last century BC. In order to construct the device, the Ancient Greeks had to have a remarkably advanced grasp of astronomy and engineering. This mechanism was so far ahead of its time it has been described as "like finding a railway engine from the Roman period". We now think we fully understand the mechanism's purpose, and can only marvel at its intricate and functional beauty. The talk was about the “Development of Caving within the Forest of Dean” and covers the period from the early days of Iron Mining right through to the significant cave discoveries of the last few years that have taken the Forest caving Area from being a small almost none descript location through to standing along side the other major caving areas in the county. Science has played its part in studying the Geology and Hydrology to determine suitable locations to explore / dig for new sites, along with an enormous amount of hard work and determination. The work continues and we do not know what the future holds. All marine turtle species are listed of the IUCN Red List of Threatened Species. To date, most turtle conservation work has focused on protection at the nesting beaches, but female turtles only spend a fraction of their lives there, migrating from feeding grounds that may be thousands of kilometres away. In order to successfully conserve these charismatic species, protection may be required throughout their range. This presentation describes a pioneering study using state of the art satellite telemetry to discover the migration routes and distant foraging grounds of Sri Lanka's protected green turtles, and presents a preliminary analysis of the results, which suggest, unexpectedly, that UK consumers may be playing a significant role in the uncertain future of these fascinating animals. Robert was with the Department of Earth Sciences, Centre for Earth, Planetary, Space and Astronomical Research (CEPSAR), The Open University. Robert started by pointing out that his subject is Climate Change - not the more emotive "global warming". Warming there may well be, in places but there will be other changes that may well be even more ctatstrophic. With the phenomenon of climate change now demonstrated as being “extremely likely” (>90% likely) by the IPCC and accepted by most governments, the debate is moving from establishing the reality of human-induced warming to management and mitigation measures. To date, however, the contribution of the geological community to the IPCC, and therefore policymakers, has been far smaller than is desirable both for the subject and for society at large. This is because the models that predict the effects of the change are imperfect and there is plenty of evidence that the effects may be much greater than predicted and arrive much sooner. This is particularly concerning because, through geological evidence, the models can be shown to be most conservative in precisely those areas of the globe currently demonstrating the highest rates of warming and where warming is projected to continue most strongly in the future. Moreover these areas are those that are most critical to both the Earth System as a whole and society in particular. They are the polar regions, particularly the Arctic, with implications for rapid loss of ice sheets with concomitant rises in sea level, and in the continental interiors with impacts on agriculture, and the capacity of continental biomass to sequester atmospheric carbon. Overall evidence of past (deep time) climate change shows the IPCC document to be conservative and likely to underestimate the rate and magnitude of future change for any given emissions scenario. Brian is a Past Master of the Worshipful Company of Scientific Instrument Makers. Without measurement we would not know what to expect when we ask for a pound of apples and the scientist would not know the difference between a torch a mile away and a star 500 light years away. Measurement distinguishes opinion from fact. Brian's talk traced the history of measurement from early times, through the days when the Grocer's Livery Company was responsible for standards, to the development of modern scientific instruments and the challenges of the future. At each stage he will show the connection between the science and our every day lives. The development of the aero gas turbine has always been closely linked to progress in advanced materials and processing technologies. Combustor and turbine temperatures, and hence power and efficiency, are limited by material capability. Over the past 50 years the development of highly engineered materials systems has already reached the point where today’s coated single crystal blades operate at temperatures well above the alloy melting point. Whilst it may look as though alloy development for aero engines has reached maturity, new challenges demand continuing innovation. The talk reviews current aero-engine technology and today’s advanced materials; highlights the developments required in the short to medium term and looks at the materials challenges implicit in the radical visions of the future. 05/09/2007 A synopsis of the talk will be published here shortly. Nicola treated us to a fascinating presentation of the science behind embryo development and, now that the human genomes have been mapped, how it is teaching us much more about cancer and other development defects, with the promise of eventual cures. There is dispute about the causes of rapidly increasing warming…..whether solar, CO2, or both, but all agree it is happening. Following the presentation there was discussion of what, if anything, we can all do about it. The guiding principle for the discussion was 'Think Global, Act Local'. Demystifying Solar Power - Science and Practical Advice for Affordable DIY solar power systems. Ivan gave a clear and well Illustrated talk on both the principles and practicalities of the various solar power systems, preceded by some thought provoking predictions for the impact of global warming. His talk stirred so much interest that questions went on for nearly an hour after the end. The Discovery, Development and Manufacture of New Pesticide Products. Definition/description of what a pesticide is and does; requirements and strategies for basic discovery/research programmes; optimisation of research leads; criteria for progression of promising candidates into development; detailed description of how a real example was taken from laboratory idea to large-scale commercial manufacture; problems and successes in large scale manufacture. Chemical formulae and equations will be included, but kept simple and well-explained with the non-chemist in mind. The Dating Game is the story of how Arthur Holmes (1890-1965) learnt to tell geological time. It combined the fascinating facts of his life and his development of a geological time scale, with the history of geology, radioactivity and dating the age of the Earth. Despite a struggle against poverty, scientific hostility, ill health and personal tragedy, it was Arthur Holmes’ vision of bringing chronological order into geological chaos that finally led to an accurate date for the age of the Earth. Brian spent his boyhood in Herefordshire, became an archivist in Worcestershire then Gloucestershire and in 1982 he was appointed secretary of the Royal Commission on Historical Manuscripts, returning to Herefordshire on his retirement. 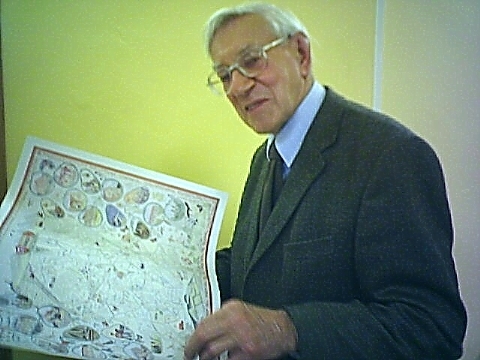 He published a number of books and began researching Herefordshire Maps when president of the Woolhope Club in 2001-2. His talk commented on known surviving maps of Herefordshire 1577-1800 both printed and manuscript maps, usually estate maps, of small areas within the county. Many of these are available for inspection in libraries or record offices. The background to map-making and their makers was introduced including Herefordshire’s Isaac Taylor. 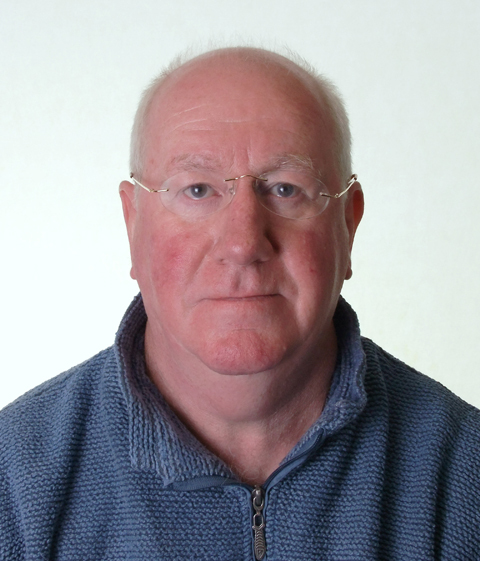 Rob Guest is Deputy Surveyor for the Forest of Dean - a position first established in 1633. Rob is a graduate forester with many years experience in forest research and management in New Zealand and Britain. Rob talked about the intricacies of managing the Forest of Dean - balancing productive activities with biodiversity and heritage conservation in an area with an involved community and millions of visitors each year. He highlighted some examples of how science can help managers cope with this difficult balancing act. Alex did his first degree in Biochemistry at Imperial College London (1993). He then went on to do a PhD (2001) at Cambridge University studying the genetic control of development. Following this He did a post-doctoral research at the University of Washington in Seattle, where he developed a new model to study Parkinson's disease. 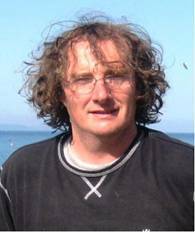 In July 2005 he moved back to the UK to start up his own research group at the University of Sheffield where he continues to unravel the mechanisms of Parkinson's disease. He talked about how the advances in human genetic studies have greatly increased our knowledge and understanding of many human diseases with emphasis on recent developments on Parkinson's disease. He also described how the advances in whole genome sequencing of a number of organisms has enabled a new avenue of biomedical research, illustrated by his work on the unusual model organism, the fruit fly Drosophila Melanogaster. After Ford Agricultural Engineering College, Royal Navy Electrical Training & Mine-Sweeping Service drove overland to Kenya. After further tropical agricultural training, was appointed Soil Conservation Officer, later Officer in Charge of a tribal African Betterment Scheme. This involved learning the local language & customs whilst living remotely in a tent. After Mau Mau, moved to Tanganyika (Tanzania) to become responsible for territorial importation of Ferguson Tractors & Implements. On return to U.K, became Ford Area Manager West Midlands & Wales, eventually inaugurating Ford of Britain National Dealer Management Consultancy service. After return & retirement in Herefordshire founded Herefordshire Active Retirement Association (HARA) & Herefordshire Industrial Association (HIA). Now Chairman of Herefordshire Wye Valley AONB Society (HWVAS), a recently formed charity to protect outstanding natural beauty. A life-long interest in evolution, particularly of human behaviour, is based on contrasting primitive & sophisticated experience relative to recent academic research. This reveals how recent & skin-deep is so-called modern civilisation & behaviour. Dr. Jim Ballantine, first explained his ‘unit’ of toxicity, which derives from the quantity of cyanide required to kill a human being…10 milligrams per kilogram body mass this equalled 1 unit on his scale. Cobra venom is 33 times more poisonous than cyanide, i.e. 33 units. The audience were shocked to be told that the black residue that sometimes collects on opened, unrefrigerated tomato sauce bottle tops can contain Botulinus Toxin, which is equivalent to 3,300,000,000 units on the Ballentine scale! Toxins can cause death either by muscular relaxation or constriction. Several species of marine poisoners were then added to the list; the most notorious toxic fish are the Puffer fish from the Mediterranean along with the Caribbean based Porcupine fish. Both are scaleless; their flesh is poisonous when eaten by humans as it contains tetrodotoxdin, a neurotoxin which causes paralysis and death. An expensive, Blow fish delicacy called Fugu much favoured by the Japanese, is usually eaten raw. The flesh is safe but has to be scrupulously prepared so that there is no contamination from the guts, liver, ovaries or roe. Any ingested contamination causes muscular paralysis and death; restaurants serving this risky fish have to employ staff qualified by examination in its preparation. Some devotees of this fish pickle the roe, and eat it after three years preservation as it gives the diner a floating sensation! Shell fish can be poisonous when eaten and mussels sometimes contain another neural blocker, saxitoxin. All the instances where shell fish have poisoned humans are situated on coast lines where the waves come in from the west. Other marine hazards include jellyfish, with the Portuguese Man of War one example. These creatures hatch in the Caribbean, and migrate to Portugal on the Gulf Stream. Their long, trailing tentacles convey a fearful sting; even dead specimens found on the beach can still sting and should not be touched. Another species, the transparent Box Jellyfish, is native to Cairns, North Queensland, Australia. Its sting is so dangerous that the tourist-favoured beaches are closed to the public from October to March. It is the most dangerous organism in the world. A dramatically marked sea snail, the Cone Shell, on sensing prey, prepares ‘darts’, coats each dart with a lethal substance and, when the prey is within range, fires the prepared dart from its proboscis. The Cone Shell then pushes out its stomach, engorges the paralysed prey, ‘eats’ it, and returns to normal. An enterprising academic from Utah University evolved a device to ‘milk’ this venom by provoking up to 20 successive poisoned darts. The deadly poison secreted on the ‘darts’ conotoxin) proved to be 230,000 times more toxic than cyanide on the Ballentine scale. A rock pool on Maui, in the Hawaiian group of islands, is home to a coral on which polyps bloom once a year. A milky liquid is generated in the pool, which lies on the outflow of a volcano. The Polynesians warriors from Maui used to coat their spears with this liquid, and were renowned for the huge death tolls of their enemies. At considerable risk marine researchers collected this palitoxin; their analysis revealed an amazingly complex molecular composition, with 129 carbon, 223 hydrogen, 54 oxygen and 3 nitrogen atoms in each molecule. The last riveting story related by Dr. Ballantine took his audience to Haiti where, in the past, healthy young men could be reduced to zombies by malevolent human agency. In a magical ceremony a toxic paste was rubbed into the victim’s skin and paralysis followed with apparent death. A ceremonious burial took place. Two days later the perpetrators returned to the graveyard, exhumed the ‘corpse’ who had recovered and was hungry. He was given food which contained ‘zombie cucumber’; this damaged his brain, and the unfortunate young man was then sold as a worker on the cane plantations. This horrendous practice was only revealed when one of the victims returned to his village with a vague recollection of his ordeal and was recognised by his sister who subsequently exposed the crime. explored geological features through hands-on geological mapping using local and other area geological maps. Keith related this to local knowledge – Wye Valley mudstone to limestone as the river meanders to the estuary. Venus is the planet that comes closest to Earth; the planet that is frequently prominent in the night sky as 'the evening star'; a planet that is forever hidden from our telescopes by a sea of clouds and as frequent a target as Mars for early space missions from the USA and USSR. But Venus never enjoyed the limelight of stories like 'War of the worlds' or the possibility of life there. This idea died with information sent back by the first space probes sent there. Unveiling Aphrodite was the story of the space probes sent there from 1961 up to today. Their successes, failures, triumphs of survival on the planet which is the nearest to 'hell' we can imagine. The talked explained how the planet HAS been mapped through the clouds. Simultaneously it appears so similar to Earth and yet so very different as well. A place where the Greenhouse Effect has taken hold with a vengeance. Andy Salmon is secretary of the Midlands Spaceflight Society www.mispace.org.uk and vice chairman of the Birmingham Astronomical Society. CT Scanning is different from conventional radiography, where a flood of X-rays are passed through body tissue to expose a photographic plate. The scanner fires a narrow beam of radiation through body tissue and very small differences detected in the received energy levels are processed by computer. Multi-slice scanning has developed apace and 64 slice systems are now being installed, the first at Abergavenny. These systems reduce the scan time remarkably, so increasing patient throughput and reducing dosage levels. 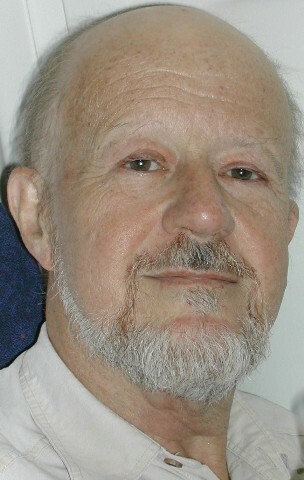 Neil took us from the origins of the arrival of the Computed Tomography (CT) scanner in 1972, at EMI Central Research Laboratories, by Geoffrey Hounsfield, a former Radio Instructor in WWII. 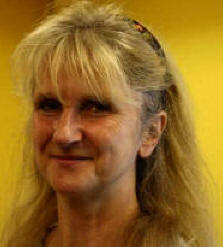 Dorothy Witcomb gave a beautifully illustrated talk on our marine environment off the South Wales coast. Fraser Smith, bravely standing in at the 11th hour, gave us a very good talk on Mass Extinctions. This slide is just one of an animated sequence. We'd love to show them all but not everybody has broadband! Edmond Halley, 1656-1742, was an English astronomer and contempory of Issac Newton, discovered the proper motion of stars and the periodicity of comets. He worked out a theory of comet orbits, concluding that the comet of 1682 (which still bears his name) was periodic and correctly predicted that it would return 76 years later in 1710. Frenchman Charles Messier, 1730 – 1813 devoted his professional life to comet hunting and on 21 January 1759 Messier found the returning Comet Halley. In 1758 he believed he had discovered another comet-like patch in Taurus, it turned out that this patch was not moving like a comet but a nebula. It later became the first entry M1 in his famous catalogue. 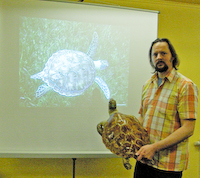 Ross Science Society supporters enjoyed an illustrated talk on the work of William Withering M.D., F.H.R.S. (1741 – 1799). The Speaker, Dr. Kit Byatt, of Hereford Hospital, described the achievements of this polymath doctor. Dr. Withering’s many interests included chemistry, geology, mineralogy, biology and he started the science of pharmacology. In 1767 he graduated from Edinburgh University, described as a ‘hotbed of medical activity’ at that time. Undergraduates had to pay One Shilling per session, most of the textbooks were in Latin, and the young doctor had to defend his final thesis in Latin. After a brief absence on a Grand Tour of Europe, he settled down as a doctor in Stafford. From 1775 he practised in Birmingham, and joined the ‘Lunar Society’, a group of intellectuals who met together regularly, travelling to their meetings by the light of the full moon. As a prosperous doctor, travelling during 1785 over 6,000 miles on professional business, he tried to devote at least one hour each day to charity work. In 1783 he diagnosed his own pulmonary tuberculosis; despite wintering in Portugal, and his design of an air-conditioning system in his home at Sparkbrook, he died in 1799. William Withering’s fame rests mainly on the publication of his 4 Volume "Arrangement of British Plants according to the Latest Improvements in the Linean System" for many years a standard botanical textbook. His interest in geology led to his identification of a rare mineral, barium carbonate, which was named ‘witherite’; he designed a pocket microscope, and specialised in the study of ‘dropsy’, oedema. This last interest stemmed from a chance consultation with an old woman severely afflicted with dropsy. He travelled regularly from Birmingham to Stafford to see patients at the Infirmary and during the change of horses on the journey, he was asked to see this patient; his prognosis was bad, so he was astonished on a later journey to learn that she had recovered, helped by a locally brewed herb tea. He analysed the tea to find the active herb was the Foxglove. Ten years later he scrupulously recorded 162 cases of cures with this poisonous plant, in "An Account of the Foxglove", pub. 1785. Infusion instead of decoction was vital to avoid severe side-effects, and possible death. William Withering disparaged himself as ‘a dampener at a party’ but he was much respected as a conscientious, intellectual and inquiring scientist, … a man of many talents. The topic was Alternative Energy Generation and the speaker, Mr. Rodney Imrie, illustrated several of the established and innovative ways of producing power without using fossil-based fuel. Wind, wave and tidal turbines were described, as well as geothermal sources such as the underground heat reservoir at Southampton which is being tapped to heat buildings, including a supermarket. Biogas such as Methane gas used for heating and electricity generation is currently produced from burning rubbish at Poolsbrook in Derbyshire. Solar energy is harnessed in various ways, including solar panels with evacuated tube collectors to provide domestic central heating. Solar powered photo-voltaic panels generate electrical power with surplus energy exported to the National Grid. Grants of up to 50% are available for solar energy installations and the audience were encouraged to experiment with alternative energy generation. The Assistant Director of the British National Space Centre, Martin Shelley, talked on several aspects of Space which are perhaps less well-known but will have a profound impact on our everyday lives now and in securing our future. He also talked about recent science missions, which are helping us unlock our past, including the UK-led Beagle 2 Mission to Mars and the highly successful Cassini-Huygens Mission which went into orbit round Saturn on 1 July 2004.